Agriculture & Agro-industry -- again! One of Dominica's good economic times was when Dominica Coconut Products was in full bloom, from the mid-1960's till the turn of the century when (under new owners Colgate Palmolive) it gradually began reducing its operations (company-wide consolidation? … international competition? . After final closure in 2015 (the extensive flooding of TS ERIKA) that major industry seemed destined for history. Good leadership declared otherwise and with the identification of new investors (and apparently local!) Dominica's once #1 industry is set to mage reappearance. 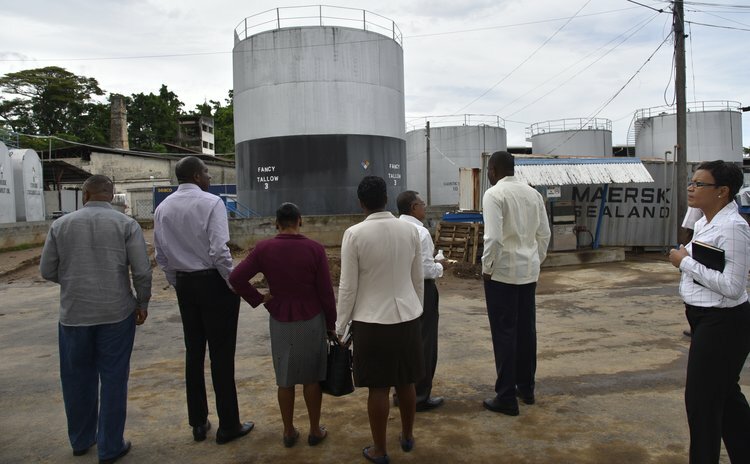 With DCP or not, big size or small, agro-industry in Dominica still has the potential to become an engine of economic growth. Continuing efforts made to generate or attract investment in the sector need to consider that geography matters in realizing this objective. In other words,territorial specificities, local supply links, the existence of an enabling environment and a well-developed business community are all crucial factors that need attention when intending to attract investment. Territorial approaches to foster agro-industrial investment – at local, national and regional levels - are becoming increasingly relevant. Governments are acknowledging the extent to which place-specific factors (endowment of natural and other productive resources, and social, institutional and knowledge capital) influence agriculture AND agro-industrial development outcomes. As a consequence, a number of instruments to attract agro-industrial investments into specific locations are becoming very useful, namely agro-based clusters and special economic zones, as well as agro-industrial parks and incubators. The DMA has started thinking along those lines. These tools have the potential to enhance value, deliver jobs, increase exports and provide markets for new and existing producers.However, confusion exists in the use of these terms since planners and practitioners sometimes utilize them interchangeably, thus ignoring the specificities of the investments, policies and processes required, and the expected outcomes delivered by each tool. Furthermore, their implementation poses a number of challenges that can, in extreme cases, lead to failure. In order to understand better the potential benefits and challenges of these tools, the FAO has developed a comprehensive "Sourcebook" that considers their nature and objectives, the approaches used to implement them and the practices that have led to both successful (and unsuccessful!) outcomes. After extensive analysis and comparison of global experiences, the book concludes that these territorially based investment promotion tools have potential for considerable impact, but planners need to make sound choices that respect demonstrated principles and follow good practices for effective design and implementation. More on that great Soucebook next time. A wonderful and exemplary visitor experience!